Options are depreciating assets that lose time value as they approach maturity. Time decay works in favor of option sellers. An option loses more time value in the 30 days before expiry than at any other time, and our strategy capitalizes on these opportunities. 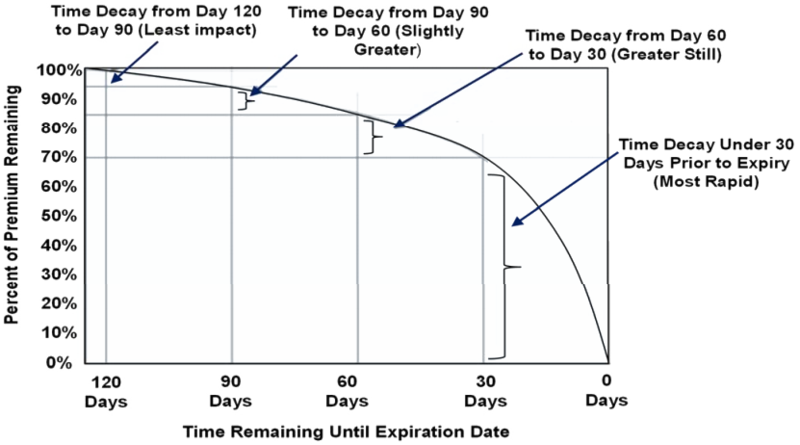 Trading weekly SPX options allows Rosen Capital to harness option time decay like never before.